Quick Serve Sushi Extremely close to UC Berkeley Campus! Get the Name and Location by Selecting the Button to the left "Sign NDA"
Healthy Cuisine Restaurant for Owner/Operator… Easy to run ! This is a Newer Restaurant and Quick Serve concept…you can continue to use current concept with great reviews or put your own concept in. Very nice walkable area in Alameda County...just a stones throw to UC Berkley. Current Menu consists of Fresh and Delicious Sushi Style! Sales are increasing and seller feels strongly an owner operator could improve sales. Currently seller operates another business for many years and has decided to let this one go…for a Buyers gain. This Restaurant has good reviews and customers love the menu. 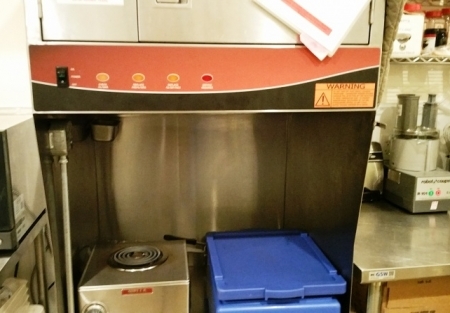 FF&E: All in New...Good clean condition, Reach ins, Prep tables and work stations, warmers, and more! Seller built space out as new end of 2015, everything is like new! An owner operator and extending the hours would increase cash flow. Very little external marketing has taken place to date, so bring your energy and ideas and take this operation to the next level. Sellers do not have time to spend in this venture ..So if you want your to have own business or have a like concept...this is a great opportunity for a fraction of the cost and time to build this restaurant space. and it's near one of the biggest UC's in the Bay Area!! Lease: Reasonable Base Rent at $3,024 + $288 cam Total $3,312…All In for approx.1,500 sqf. Many online ordering options in place. Its all there ...make an offer and you're in business. Reason for selling: Seller has other business and needs to attend to family member with health issues..
you will love the space and enjoy the menu! UC Berkeley across the street. + Location to your existing QSR Sushi business! Lots of Potential to Expand and Grow! Expand the hours of Operation!